Time for a Dental Cleaning? Check Out our $100 Teeth Cleaning Special in Mississauga! Go ahead - smile! Your teeth are your most visible facial feature, which means that taking proper care of them is an important part of both your internal health and external self-esteem. 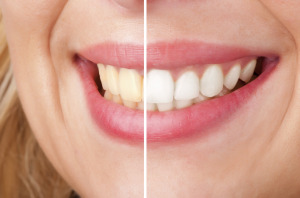 At the Meadowvale Dental office in Mississauga, we understand the importance of a "spotlight" smile and will go the extra mile to keep your pearly whites looking fantastic through regular dental cleanings. When you contact our dental office in Mississauga to request an appointment, you'll experience the difference Meadowvale Dental offers. Our skilled, knowledgeable staff will clear away dental plaque, spot potential issues before they become big problems, and give you advice on the best products and routines to use for optimum dental health. At our Mississauga dental office, your dental hygienist will explain each diagnostic and treatment procedure as your visit progresses. This client-centric approach ensures that you not only have the results of a great dental cleaning, but the knowledge to successfully maintain your dental health between visits. Contact Us to Request your $100 Teeth Cleaning Special with our Mississauga Dentist and Dental Hygienists Today! While our Mississauga dental office does handle dental emergencies, you can avoid unnecessary dental pain and hassle by scheduling your dental cleaning and checkup today. Give Meadowvale Dental a call - we're here to make you smile!